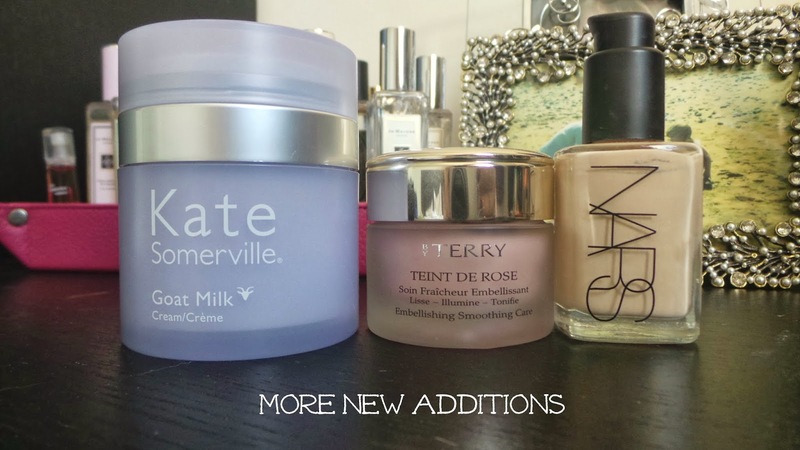 I know I only just posted a The New Additions post but as I mentioned in that post, I had used up quite a few things recently so I thought a new 'new additions' post was justified! Here's what else I have pulled out of my stash in the past couple of weeks. I had to try and get my hands on this cream after Caroline Hirons raved about it. This is described as an excellent moisturisor for sensitive and acne prone skins and as I am only a couple of weeks into using it I'll leave you to read Caroline's post here to understand the reasons I picked this up. I have to say I do love the very hygienic dispensing method. 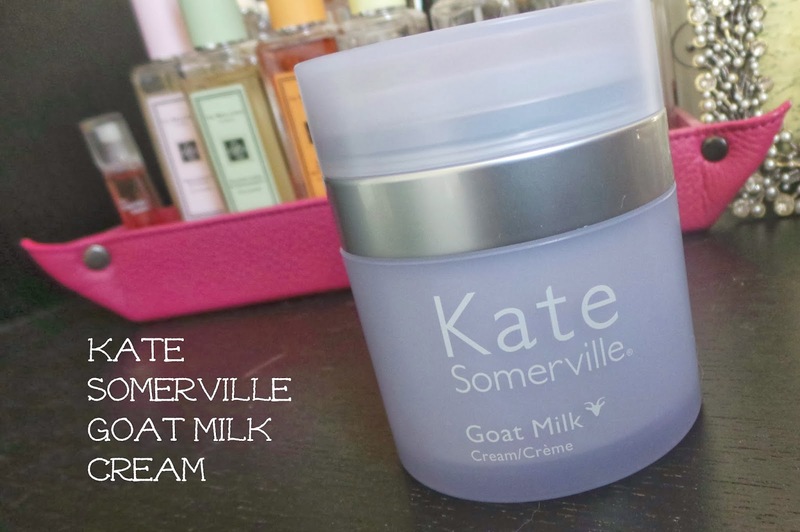 I purchased mine from Nordstrom in the US and had it shipped to me but I believe Kate Somerville now ships to the UK from her website. It costs $55 (approx £34). My skin has actually broken out over the past couple of days which is unusual and I am putting down to an enormous amount of stress in my life over the past week and also the water here in Cairo where I am currently typing this post from. The water here in Cairo seems to leave a residue on the skin so I am extra careful to remove my cleanser with a flannel thoroughly and to ensure I double tone. 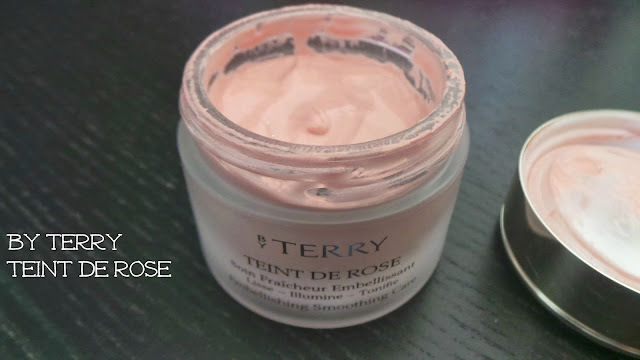 The By Terry Teint De Rose is an interesting product. I purchased it from Space NK back in May but it's been sitting in my skincare stash since. It's another one of those products that I had a long chat about with the salesgirl in Space NK but now could not for the life of me remember what it was for! So I went back to the Space NK website and this is a light cream that can be used as a base under foundation (as a primer) or as a night cream to add radiance to the skin. The skin has a salmon pink colour (the second photo is a true reflection of the colour) and I apply it to my skin after my moisturiser and under my foundation. The cream gives a luminous rosy, semi matte glow to the skin and the cream almost leaves a metallic sheen to the skin. I know that sounds awful but actually when you then apply foundation on top the result is just fresh, glowing skin. It contains anti-blemish and anti-dullness correctors to illuminate tired skin and refresh the radiance of lackluster complexions. It's a light cream without any greasiness and doesn't have that silicone-y texture to it. I didn't get on with the Benefit Porefessional at all which I mentioned in my last post and it will be going into my next blog sale. I would imaging that if you apply this after a late night (and I know party season is on the horizon) you will wake up looking decidedly less tired than you actually are! It's not your average primer at £56 (I am SO bad for buying things without looking at the price) but it has some skincare benefits also. The pot looks tiny but because you only need a small bit I think this pot will last absolutely ages. Repurchase? Not sure to be honest-I hadn't realised how pricey it was so I would have to seriously fall in love with it to re-buy. 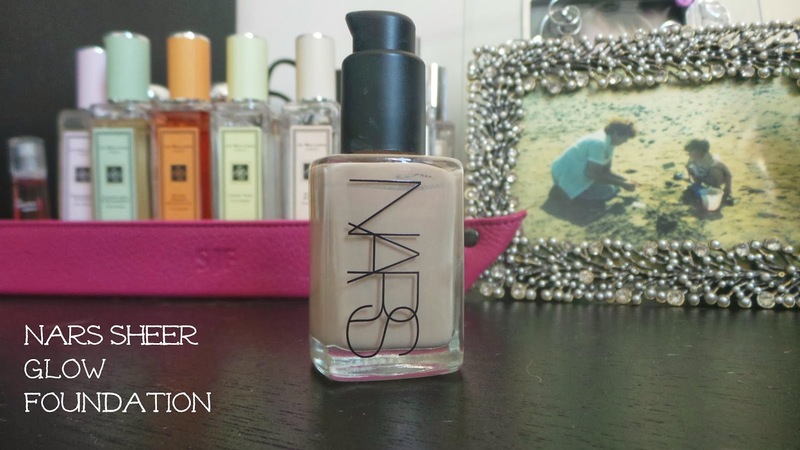 I have had the Nars Sheer Glow for aaaaaages in my stash and just kept pushing it aside for other foundations-I think because I was so worried I was going to be disappointed if I used it after seeing so many rave reviews. I AM NOT DISAPPOINTED!! Mont Blanc is the perfect shade for me and I love the way this foundation can be applied with a brush or fingers. It's quite a runny liquid and I find if I am using my fingers to apply it I only need 2 pumps to cover my whole face (I purchased the pump separately). We all know the bottle is not well designed because if you purchase the pump you can't put the lid on it and with it being glass I have to cat proof (and Stacey proof it) it at all times. It gives a medium but buildable coverage with a satin finish. I powder mine as I prefer a matte finish but it has no SPF so no ghostly flashback face in photos. It also feels much lighter on the skin than Estee Lauder Double Wear which I loved. A brilliant foundation. I bought mine from Liberty in London for £30.50. I got bored with my Ellis Faas mascara and decided it was time for a change and literally did a lucky dip by sticking my hand in my mascara stash with my eyes closed, and out came Illamasqua Masquara. I am not a massive fan of Illamasqua make up, I am not sure why, I just don't get on with it. I find the lipsticks incredibly drying and didn't like the skin base foundation or primer. Having said that I think their blushes-cream and powder-are exceptional. I forgot I had bought this mascara but it's a little beauty. 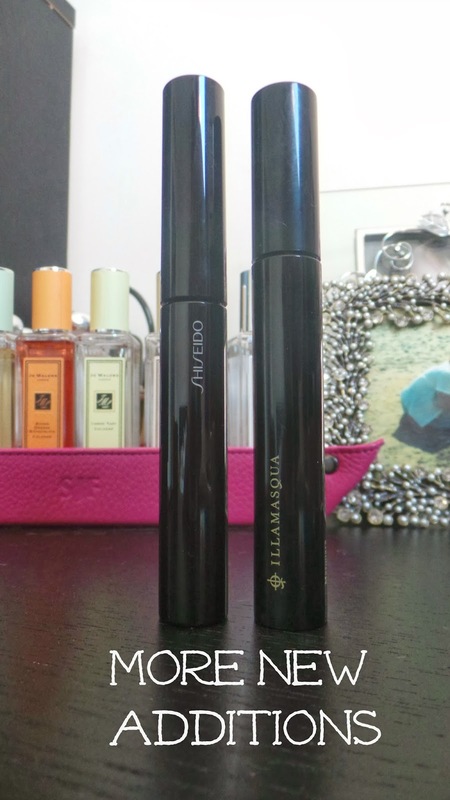 It has a fairly chunky medium size brush and basically does everything I want from a mascara. Its black-black, lengthens, volumises and slightly curls the lashes. It doesn't flake or smudge (and trust me I cried all the way through Wednesday last week and I am surprised I had any mascara left but I definitely did) and it lasts all day. It also dries fairly quickly which I like, there is nothing worse than waiting for your lashes to dry, trying not to blink like a demon! Because of that, I recommend building it up on the lashes whilst it's still wet but doing one eye at a time. Once it's dry it's harder to build. 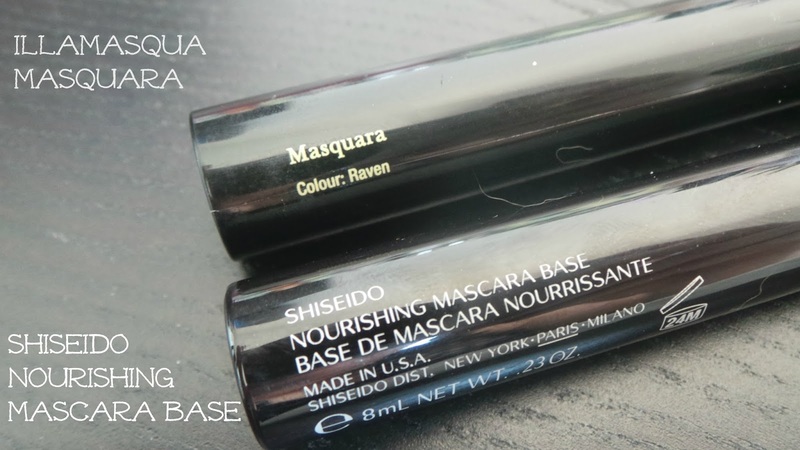 Finally I also dug out the Shiseido Nourishing Mascara Base to use as a primer for my lashes under my mascara. The wand is very slim on this and the product is a grey-ish gel that appears clear on the lashes-the last 2 mascara primers I have used have both been white. I'll be honest, at the moment I am not loving this because I am not seeing much benefit from using it. Mascara primers should intensify the look of your mascara, adding extra volume and length but I don't see any difference at all when I am using it. I also don't feel like it's putting much product on my lashes either. But it gets rave reviews (I saw one girl saying it made her lashes look like they were on steroids lol!) so I need to maybe try it with another mascara to see how it fairs. The best mascara primer I have used so far is the Mac Prep and Prime Lash, it is immense for building your lashes!